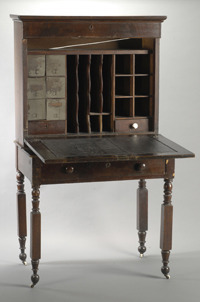 Poe wrote and worked at this plantation-style desk while he was employed at The Southern Literary Messenger. The desk remained in the Messenger’s offices when Poe left Richmond for New York in 1837. The descendants of Poe’s successor at the Messenger, Benjamin Blake Minor, sold the desk in 1906 to Richmond collector J. H. Whitty. 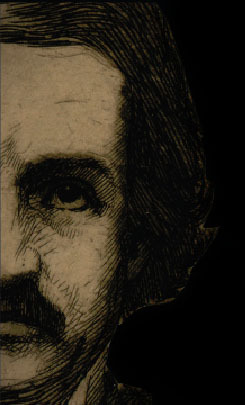 He claimed that several manuscripts and letters written by or to Poe were discovered in the desk.